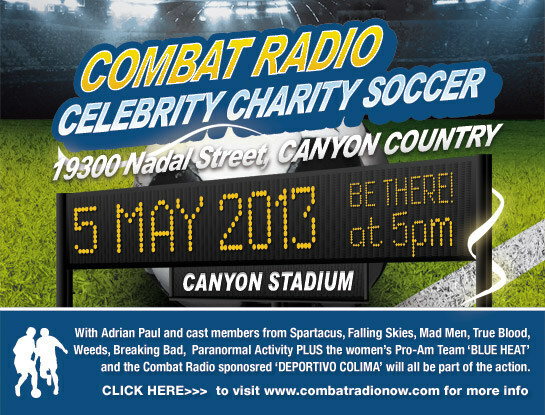 "Here's your chance to play soccer alongside your favorite celebrities in the Combat Radio Celebrity Charity Soccer Invitational, Sunday May 5, 2013, in Canyon Country, CA. Should the winner prefer not to play in the game, you'll have the opportunity to watch the game and meet Adrian Paul after! 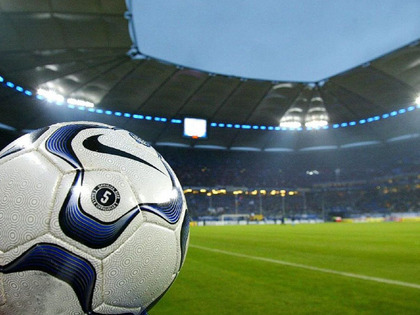 Your teammates will include Adrian Paul from Highlander as well as cast members from Spartacus, Falling Skies, Mad Men, True Blood, Weeds and Breaking Bad, just to name a few." The event and accompanying auction helped raise money for The Peace Fund's initiative to fund a neonatal respirator for a small hospital in Hungary.